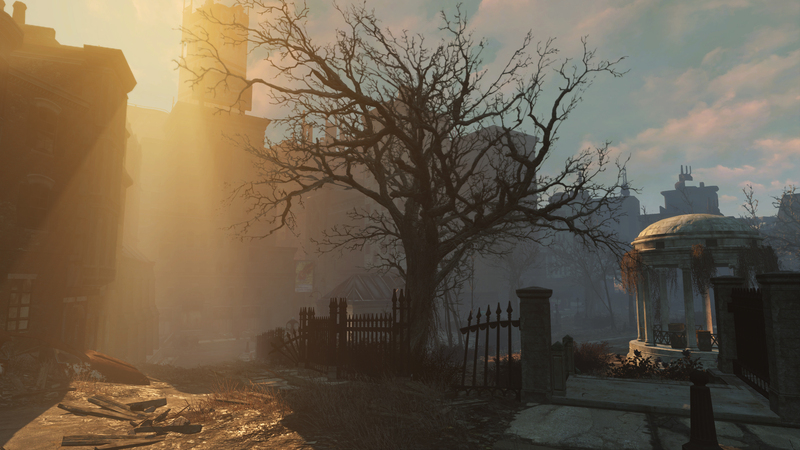 Bethesda Softworks made several enhancements to their Creation Engine for Fallout 4. Today the company released several screenshots that highlight the technical improvements they've made. 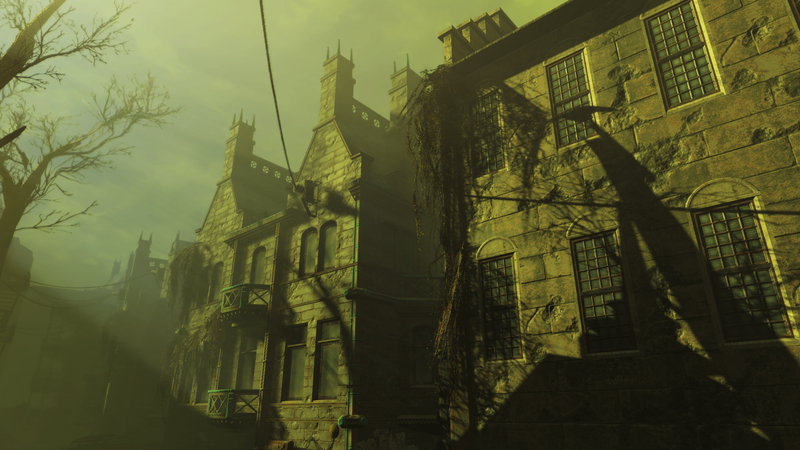 In an accompanying blog post, Bethesda said that the new Creation Engine includes several new touches of realism. Metal surfaces will reflect light differently than wood. Environments will get wet during a rainstorm. Plants, hair and cloth will sway in the wind. The developer says that these various features will "work great regardless of platform." They don't mention what platform they used from these screenshots. I wouldn't be surprised if they were taken from the PC version on Ultra settings, though. It makes sense for them to try and paint their game in the most positive light possible. Bethesda added that they've work with NVIDIA as well to produce volumetric light, the visible rays you see streaking across certain screenshots. Their mention of an NVIDIA partnership may suggest that the game uses NVIDIA GameWorks as rumored. Let's hope the game's kinder to AMD hardware than some other recent PC releases like Witcher 3 and Batman: Arkham Knight. 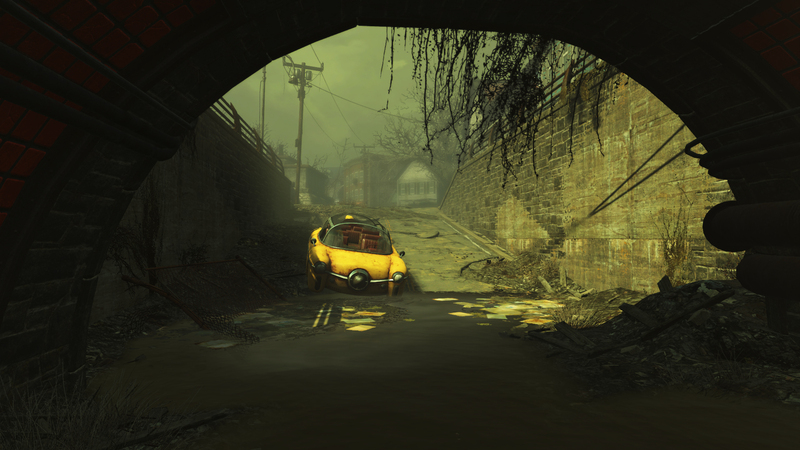 Fallout 4's graphics have been a subject of much debate since the very first trailer. The argument centers over whether the game looks "next-gen enough" and is enough of a leap forward from Skyrim's visuals. 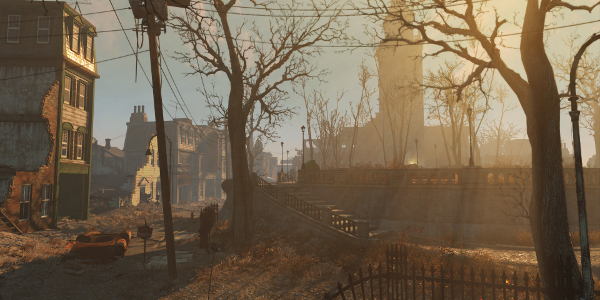 That debate started back up again when gameplay footage from Fallout 4 leaked this weekend. 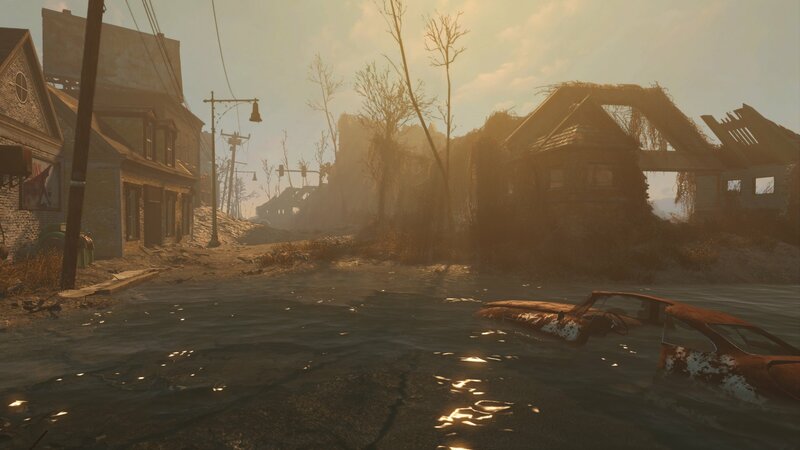 These screenshots are presumably meant to push back against those criticisms and show that yes, Fallout 4 can look good. 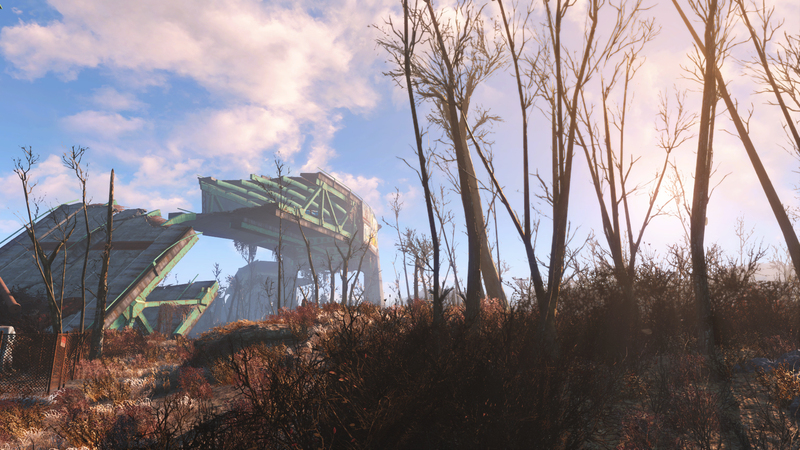 Bethesda will release Fallout 4 on November 10th for PS4, PC, and Xbox One. You can find out everything you need to know about the launch, including the times and system requirements for the PC edition, here. 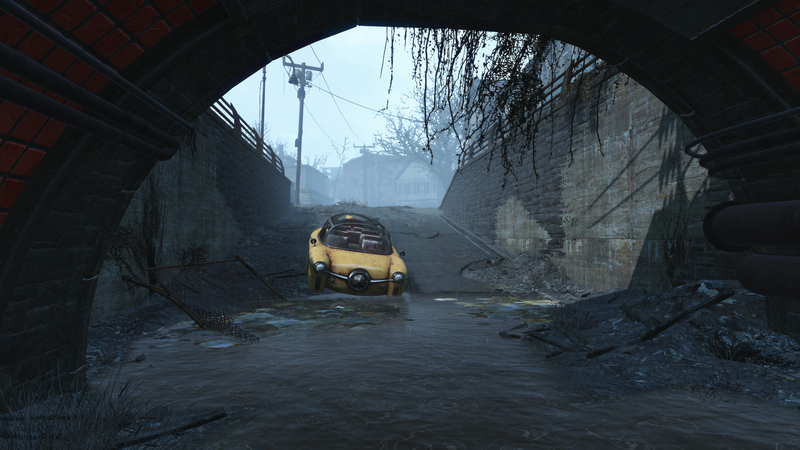 What do you think of Fallout 4's graphics?